Intermittent PS Label Offset Printing Machine, ZX-320This intermittent PS label offset printing machine employs the latest German servo control system Rexroth, Bosch and operation system which ensures the stabilization of printing material during printing process. In the meantime, there is no need to exchange the printing roller. The printing work is easy, convenient and quick. 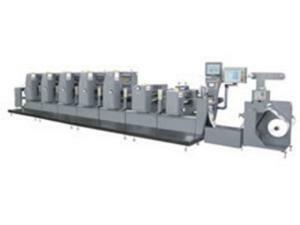 Flexo Printing Machine with Single Rotary Die Cutting Station, ZBS-320The rewinding and unwinding units are designed with magnetic powder brakes and clutches for tension control. 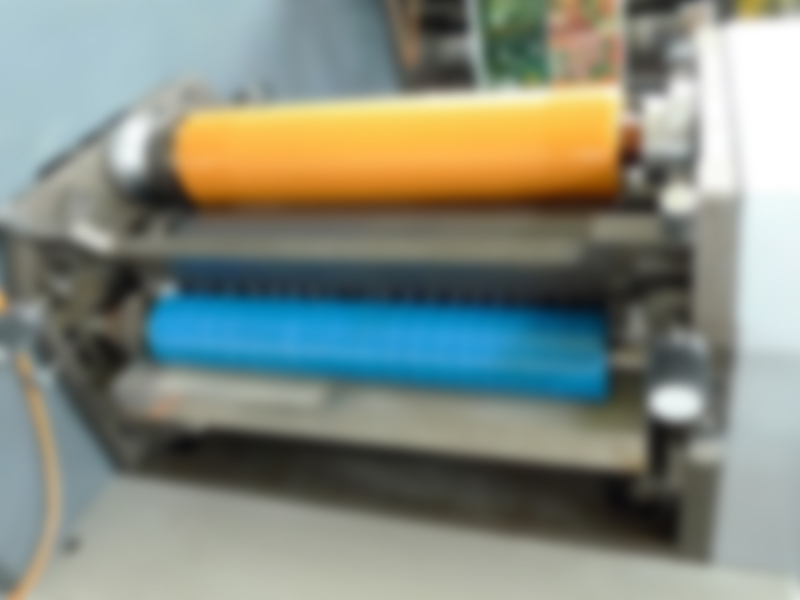 Flexo printing machines equipped with Mitsubishi auto tension controller. 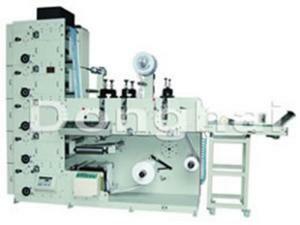 Thus, high precision roll material rewinding and unwinding is guaranteed. Flexo Printing Machine with Tripe Rotary Die Cutting Stations, ZBS-320GThis kind of flexo printing machinery is designed with three die cutting stations in total. The first and the second stations are applicable for double side die cutting, and at the same time, they are equipped with a waste material rewinding unit. 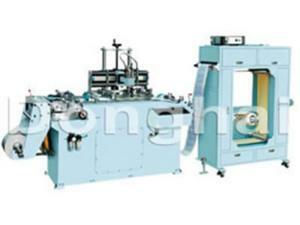 The third die cutting station is used for sheeting and slitting printed materials. Flexo Printing Machine with Single Rotary Die Cutting Station, ZBS-450This flexo printing machine adopts a ceramic anilox roller for ink transfer. To guarantee high precision material unwinding and rewinding, our flexo printing machinery is designed with automatic tension controllers to control the tension of winding units. All printing units are designed with 360° plate adjustment. Flexo Printing Machine with Tripe Rotary Die Cutting Stations, ZBS-450GThis flexo printing machine is an ideal replacement for traditional adhesive label printing equipment. In addition to being used for printing adhesive labels, this flexographic printer can also be used for producing commercial papers and posters as well various paper advertising materials, among others. Silk Screen Printing MachineA silk screen printing machine employs a screen plate which is usually contains silk or other fine mesh as the key component. Silk screen printing was originated from China. So we have enough experience to produce high quality screen printing machinery for global customers. A narrow label printing machine, as its name suggests, is mainly used in the production of trademarks and adhesive labels, tags, and more. Label printing presses are designed to satisfy customers' diversified demands on label production. Which kind of label printing machine will be increasingly demanded? 1. 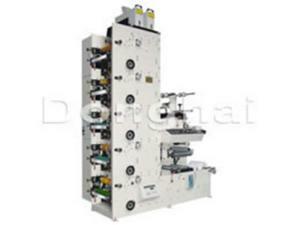 High printing quality and high speed full rotary label printing machines are surely popular in any market. By adopting rotary printing presses, producers can highly improve their production efficiency and thus reducing their production cost. 2. A multifunctional label printing machine which integrates the advantages of flexo presses, offset printing machines, screen printing equipment and gravure printing machinery is surely an ideal choice for all label producers. 3. Label printing machines which can be used in combination with post press equipment, like die cutting machinery, punching units, hot stamping machines, laminating machines, coating equipment, folding machines, slitting and sheeting machines, inspecting machines, and more. Post press machines are optional and can be combined-use flexibly. 4. 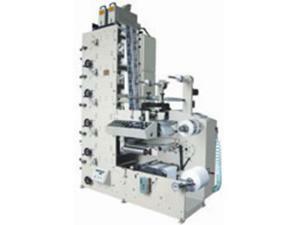 Printing machines which are also capable for producing new type tags, labels and tickets, etc. With the increasingly use of RF tags, in-mold labels, new label printing equipment is also increasingly demanded. Additionally, printing presses which are capable of printing airplane boarding passes, access tickets, and so on are also highly demanded. 5. 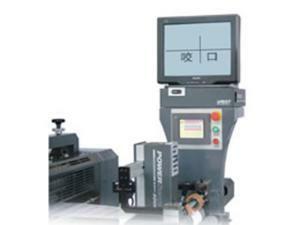 Digital label printing machines. As a professional printing machine manufacturer and supplier based in China, we can produce not only label printing machinery, but also die cutting machines and slitting machines as well as label inspection machines. All of them are CE certified and are extensively used in totally 50 countries around the world, such as the United States, Argentina, Britain, Spain, Portugal and Russia, etc. 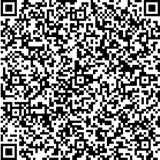 For any problem or question on our print products, please contact us at Weigang Machinery Company.